The five-member national selection committee of the Board of Control for Cricket in India (BCCI) has named the 15-man India squad for the ICC Cricket World 2019. 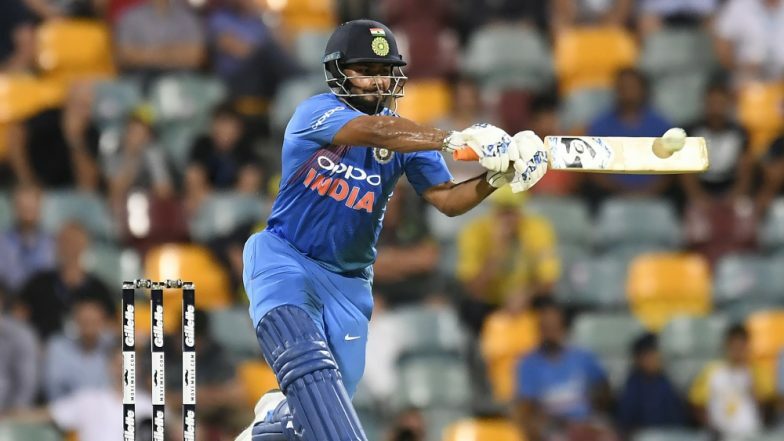 Wicketkeeper-batsman Rishabh Pant has been left out of the squad for the world cup, which will be led by Virat Kohli. Rohit Sharma has been retained as the vice-captain of the side. Pant was expected to be named as the back-up wicketkeeper, but selectors named Dinesh Karthik instead. ICC Cricket World Cup 2019 Schedule in PDF: Ticket Prices, Dates, Venue Details & Timetable Available for Download Online. The wicketkeeper-batsman, who made his Test and ODI debut last year, has been tipped as MS Dhoni’s replacement. Pant has already played three Test matches in England and in six innings managed to score a century at The Oval in London. Earlier, this year, Pant scored his second Test century during India’s tour of Australia. The wicketkeeper has played five ODIs for India and in four innings he has managed just 93 runs, including the highest score of 36. India Team World Cup Squad Announcement- As it Happened.